The Board of Directors met in August for our annual off site meeting. We dedicated a Saturday morning to discussing: the focus of the organization, membership and operations. The Board agreed that we have been very successful in our mission to provide assistance to Brits in need. There has been a continuous flow of requests for relief and opportunities to make a significant impact to those who may otherwise go unnoticed. We continue to focus on member engagement and retention. 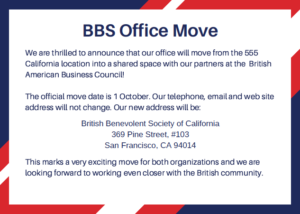 We hope that you will consider promoting our organization not only with Brits you encounter, but everyone in the Bay Area! We are very saddened to inform our members that Cynthia passed away this morning. Over the past few years, the BBS have been providing Cynthia with compassionate care and some volunteers have spent many wonderful hours with her. Cynthia always had an adventurous spirt, an appetite for life and a love for everyone around her. Having traveled the world many times over, she was alway sharing amazing stories about her adventures in every corner of the world. 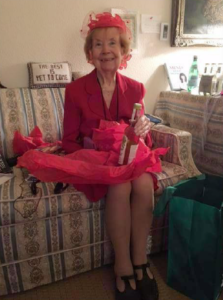 We will miss her beautiful smile and amazing sense of humor. Cheers to you Cynthia. We had three new cases last month where we helped repatriate families in dire straits as well as provided administrative support for someone who needed an extra hand. One gentleman came to the BBS requesting assistance reapplying for disability benefits. He suffered three head injuries and had difficulty focusing when completing forms. Jenn met with him at the Consulate where they combed through documents and prepared for an upcoming meeting with Social Security. He is also looking for employment and asked if we could help update his CV. One of our board members, Lucy Feltham, helped him redraft and design his CV. Our thoughts are with this gentleman as he continues to regain control of his life. The Relief Committee worked together to find the best way to provide assistance to a young Brit living on the streets of LA. He struggled with mental health issues and had been assaulted while being homeless. Brought to our attention by Consular in Los Angeles, they requested assistance paying for an Emergency Travel Document. Another agency had paid for his airline ticket and he had one final step he needed to complete in order to return to the UK where he could receive necessary medical attention. We have learned that he safely completed his journey to the UK and wish him all the best with his treatment. The last case this month involved paying to repatriate a mother and her son to Scotland. They had been living in the US for more than 5 years and the 18 year old son fell suddenly very ill. He had asperger syndrome and became non-communicative, requiring 24 hour hospital care. His mother was ready to return home where she could be closer to family as they learned more about his condition. 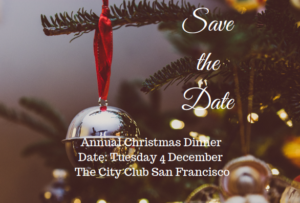 Many of you are aware that the BBS traditionally holds a raffle during the Christmas dinner. All of the raffle proceeds go to the relief work performed by the BBS. This year, we would like to open up raffle donations to members. In years past, donations have included wine and spirits, tickets to sporting events, books, traditional British baskets, Gift Certificates to restaurants and more! If you would like to gift an item for the raffle this year, please contact Jenn Baker. We ask that all items are new and that they are available before 25 November.